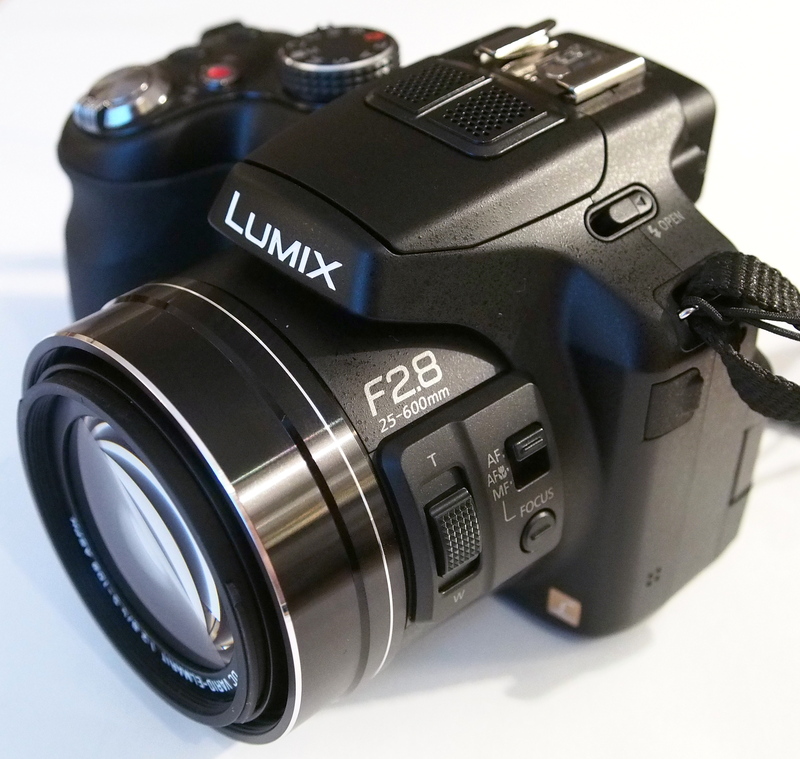 We take a look at the new Panasonic Lumix FZ200 - the high-end ultra zoom from Panasonic with a f/2.8 lens. 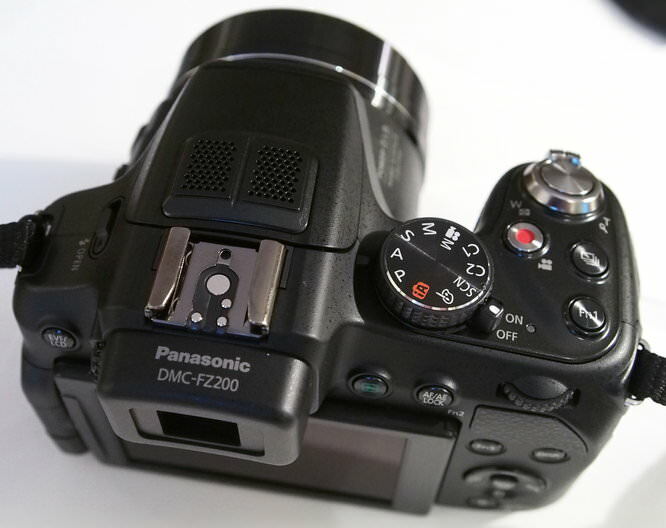 The FZ200 is Panasonic's return to a fixed aperture, ultra zoom camera, something Panasonic were previously known for with their first FZ1/2/3 models that featured a 12x optical zoom lens and f/2.8 aperture right through the zoom range. This model features an f/2.8 24x optical zoom lens equivalent to 25-600mm with Mega optical image stabilisation (O.I.S), 12.1 megapixel sensor, high speed shooting, 3inch screen, and high resolution electronic viewfinder (EVF). 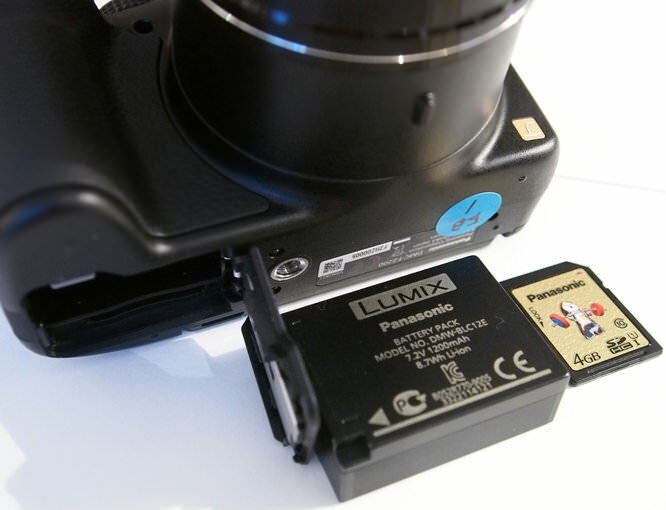 The FZ200 features a zoom control on the side of the lens, as well as a switch for focus, including manual focus. 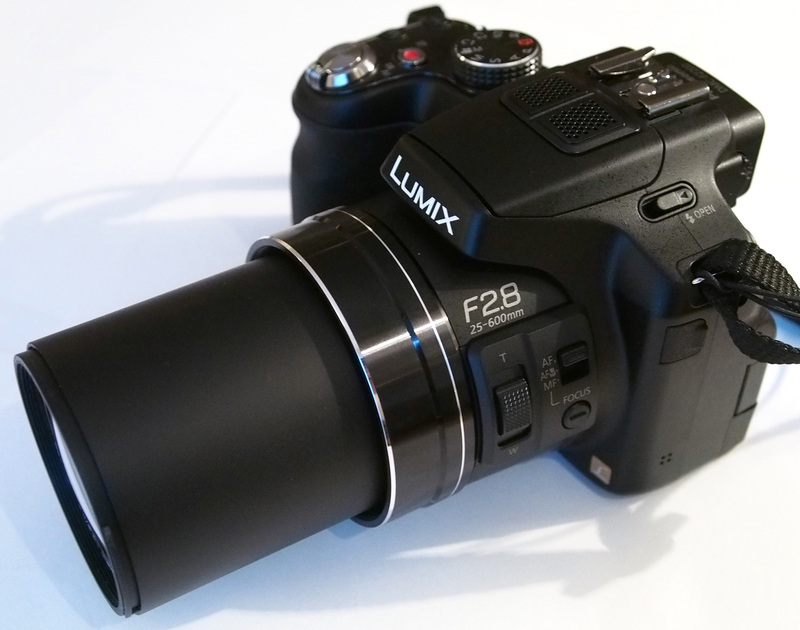 The Panasonic ultra zoom series hasn't has a constant f/2.8 aperture, since the FZ1/FZ2/FZ3 and FZ10/15/20 series which were available in 2002-2004, so it's impressive to see this has been re-introduced, although this time, instead of 12x optical zoom, the camera now has 24x optical zoom. Handling - The FZ200 is a large bridge style ultra zoom camera with a large rubber hand grip and a textured thumb grip on the rear. On the left side of the zoom barrel is a zoom control as well as a manual focus mode switch, letting you choose between AF / AF-Macro / Manual. A focus button lets you set the focus point. The build quality feels very good with a rigid body and the inclusion of a lens hood, and neck strap add to the quality feel of the camera. 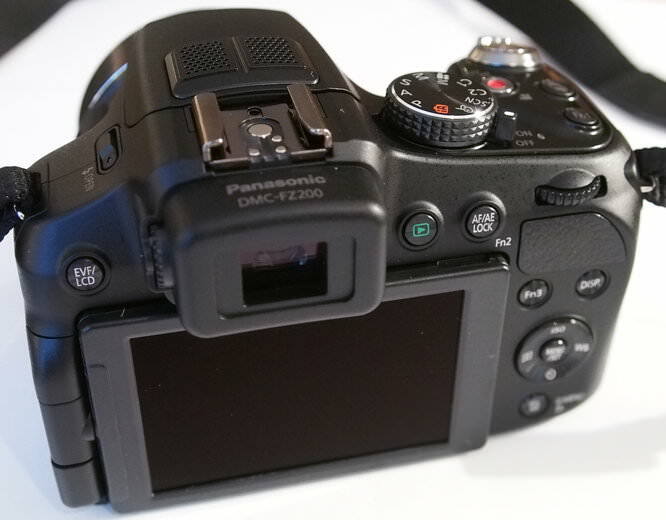 The camera features a number of customisable function buttons dotted around the camera, as well as dedicated buttons for continuous shooting. Menus – The Panasonic menus are well laid out with Q. Menu (Quick) giving quick access to the most common settings at the top of the screen. Within the photo menus there are new options including an auto-HDR mode that combines three photos into one. The iA button and mode dial makes it easy to get good results even if you're a beginner, making it easy to use. Battery life - Battery life is rated at 540 shots according to CIPA standards. Speed – Focus seemed quick and reliable. Continuous shooting was certainly impressive offering 12fps continuous shooting at full resolution, or 5fps continuos shooting with C-AF. Additional photos and product shots are available in the Equipment Database, where you can add your own review and product ratings. 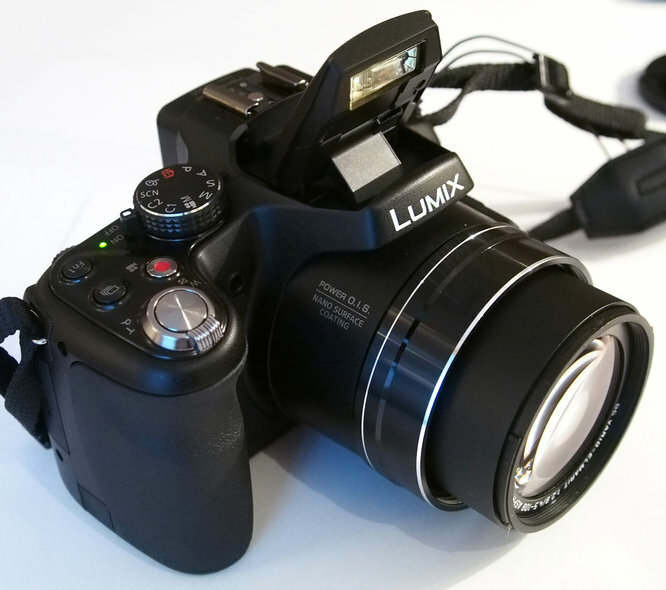 Pre-production sample photos, resized to 5mp at Panasonic's request. Sample Photos - Colour reproduction appears to be very good, and it's possible to expand dynamic range using either iDynamic or the camera's HDR mode. The lens is resistant to flare and shooting into the sun there was little flare. Exposure was good and the camera allows you to focus on subjects just 1cm from the front of the lens in macro mode. The nearest competitors includes the Fujifilm X-S1 with x zoom lens, and larger than normal sensor, available for £489 it's one of the larger bridge cameras available. Others include the Nikon Coolpix P510 with 42x optical zoom lens, Sony Cybershot HX200v with 30x optical zoom and GPS, Fujifilm FinePix HS30EXR with 30x optical zoom, Canon Powershot SX40 HS with 35x optical zoom, Olympus SP-810 with 36x optical zoom. Have a look at other Bridge cameras here. You'll also need to buy a memory card and a case or bag to keep your camera safe and protected - have a look at our complete guide to camera bags. 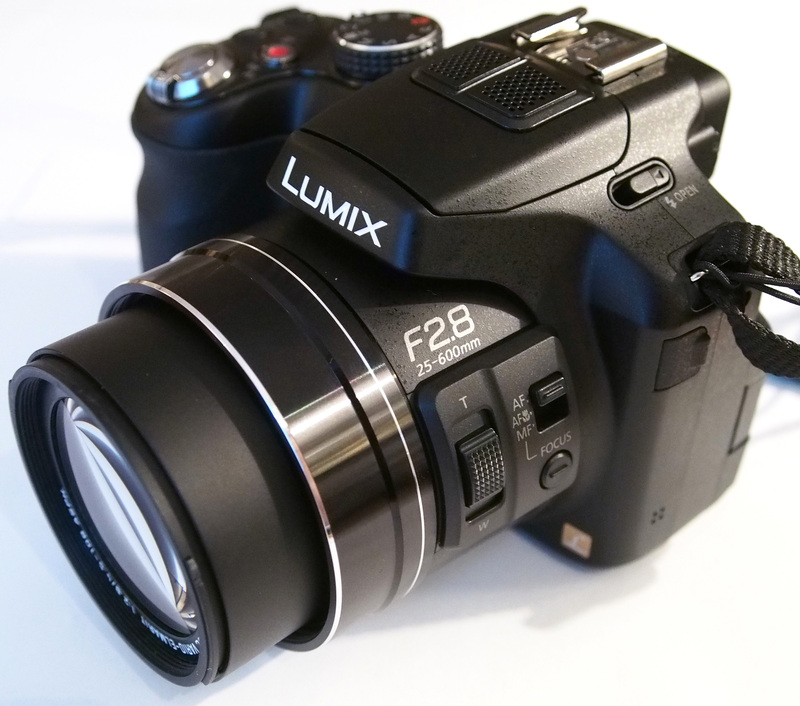 The Panasonic Lumix FZ200 is a welcome return to fixed aperture zoom lenses and it's good to see that companies are regularly looking to find new (or old) ways to improve image quality. The same can be said by the choice to use a 12 megapixel sensor, rather than a higher resolution model, which gives both high speed shooting (12fps) as well as lower noise at higher ISO settings. For someone looking for a premium ultra zoom bridge camera, with a focus on image quality and SLR-like styling then this could be just the ticket. We look forward to conducting a full review when it is available. The constant aperture of f2.8 (across the zoom range) along with improved higher ISO noise and sensitivity performance are quite welcome. I was considering the Fuji X-S1 especially because of its manual zoom control ring (not just an electronic toggle switch), larger sensor and good optical zoom range. However, I am biased towards the fully articulating displays (as in Canon's latest DSLRs and superzooms), not just the tilting displays. Once you've used these things, you don't want to live without them - they just extend your shooting capabilities that much more that would otherwise be difficult, if not impossible with other cameras without them. I think I will wait for the next generation and hold on to my current gear until Panasonic, Fuji and others will come up with the following wish list all in one camera: - larger sensor (minimum - the size on Fuji's x-s1) that produces excellent image reproduction (colour, lack of noise, etc.) - fully articulating LCD display - manual zoom control (not electronic toggle switch) - good zoom range (at least 20x - really appreciated during travels) - permanent, not interchangeable lens will be very convenient so I don't have to lug around multiple lenses and have to avoid cleaning the sensors - f2.8 or better aperture that is constant throughout the zoom range - HDR - Level - high ISO sensitivity with excellent noise control (low noise at high ISO) - easy manual control over exposure and focus - bullet proof construction as in the Pentax K30 (weather proof, shock, dirt proof) - Wi-Fi, GPS - in a small package (I think the sx-1 is just too big - beats the purpose of getting a superzoom in one package) If you look at what is available now, all these technologies and design features are already implemented in the various makes of these products. Why not incorporate them in one super camera? Is it a matter of proprietary issues, licensing, etc.> Hope one of these manufacturers can come up with the above wish list in one camera and you'd have a sure winner. Not all of us are professionals or super advanced amateurs that would go for no less than a traditional DSLR. However, I think we're almost there, maybe the next generation will deliver the wish. Hope one of these manufacturers can come up with the above wish list in one camera and you'd have a sure winner. Not all of us are professionals or super advanced amateurs that would go for no less than a traditional DSLR. However, I think we're almost there, maybe the next generation will deliver the wish. The speed and accuracy of the autofocus coupled with the high speed shutter have allowed me to capture photos in one week that i have previously been unable to get in years of effort, and the video functions on this camera are beyond remarkable. I am very pleased to own it but am still learning the full extent of its capabilities. The speed and accuracy of the autofocus coupled with the high speed shutter have allowed me to capture photos in one week that i have previously been unable to get in years of effort, and the video functions on this camera are beyond remarkable. I am very pleased to own it but am still learning the full extent of its capabilities. A bit disappointed that you don't have a performance table showing the response times for various activities. My original FZ20 is awfully sluggish when you want to take a photo but the f2.8 lens is very good.